I made this block to turn into pot holders for some of the girls at work and for a secret santa exchange. 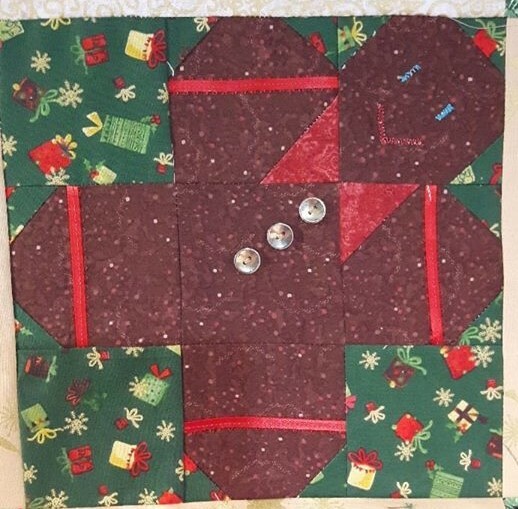 This block was real fun to make and I dint have a pattern so i just winged it… this year I decided to add it into a block for a christmas quilt. Next I’m thankful to be able to sew with mom..